I’m doing exactly what you’re doing – juggling a full-time job AND training for adventurous challenges. I understand the pressures and recognise ‘pipe-dream’ training ideas – and will steer you towards realistic success rather than unrealistic failure. Whether it be through a corrective exercise programme to adjust muscle imbalances causing faulty recruitment patterns, through hands-on treatment followed by instructions on self-treatment for a soft-tissue injury, through kinesio-taping for a chronic joint injury, or an emergency fix prior to an event, I can help. I look for the source of the problem rather than fix the symptoms. I’m commonly seen ‘fixing’ someone by the side of the road during one-to-one or group coaching sessions. It’s a skill base that perfectly lines my coaching hat. Your body doesn’t differentiate between the sources of stress. 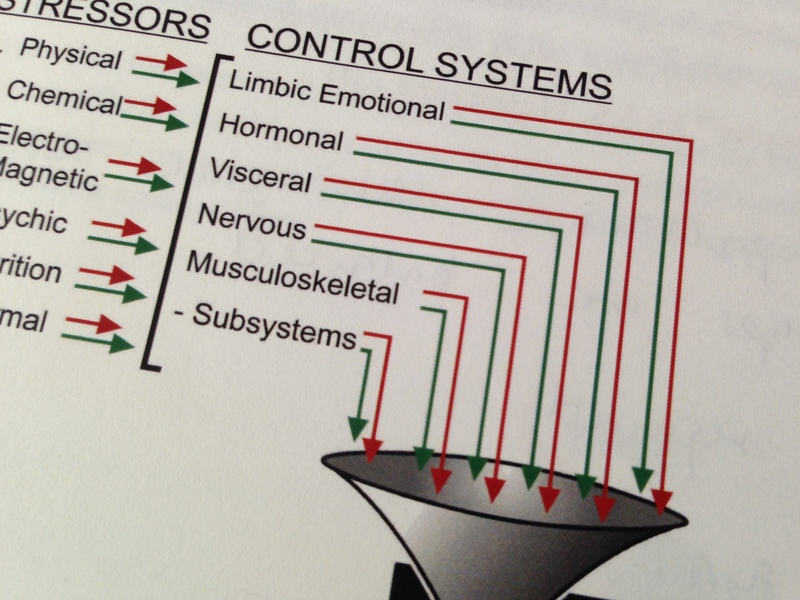 Stress on the body is stress on the body, whether it’s physical or mental – it all goes into the same ‘stress-bucket’. It’s no wonder that ‘over-training’ is the biggest source of injury or ‘plateauing’ (training not being reflected in improved results) – it’s simple maths: training stress + work/life stress = stress load. Ignore one and you’ll get frustrated – guaranteed. Your input, your response to training and your life, defines the appropriate training load and therefore your success. It’s measurable through Physiological Load Screening questionnaires. It’s a productive ‘one stop shop’ of convenience, experience and skill. I come from a background of biomechanics and medical hands-on therapy, so ‘spanners in works’ don’t phase me. You benefit from the coach and the therapist singing from the same song-sheet, and they won’t do battle in your training plan. Any treatment necessary gets automatically factored into your training plan, your recovery and your rehab. Communication – it’s a two-way street. The only way to build a successful training plan, resulting in the achievement of your goals, is through feedback. You need to be able to ask questions and I need to hear how you feel, what you eat, when you eat it, the quality of your sleep and when you get it, how your body responds to different stressors – both in the athletic arena as well as in daily life. Training programme amended at least weekly following feedback. If you’re not sure what you need, contact me leaving your number and we can chat through your requirements.